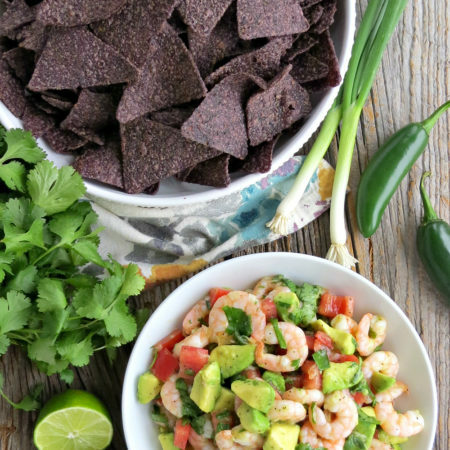 Shrimp and avocado salad is fresh, flavorful, and easy to prepare, making it one of my favorite go-to recipes! The big game is right around the corner, and I am in full menu planning mode. 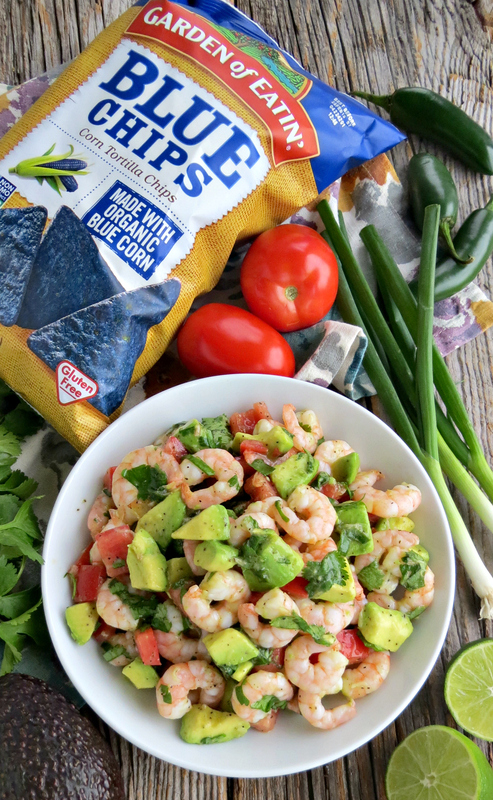 Wings, pizza, and cheese dip are all great, but I crave something light and fresh to go with it – like this shrimp and avocado salad! In case you missed it before, chips are my weakness. I don’t have a sweet tooth at all, but I can throw down on chips. 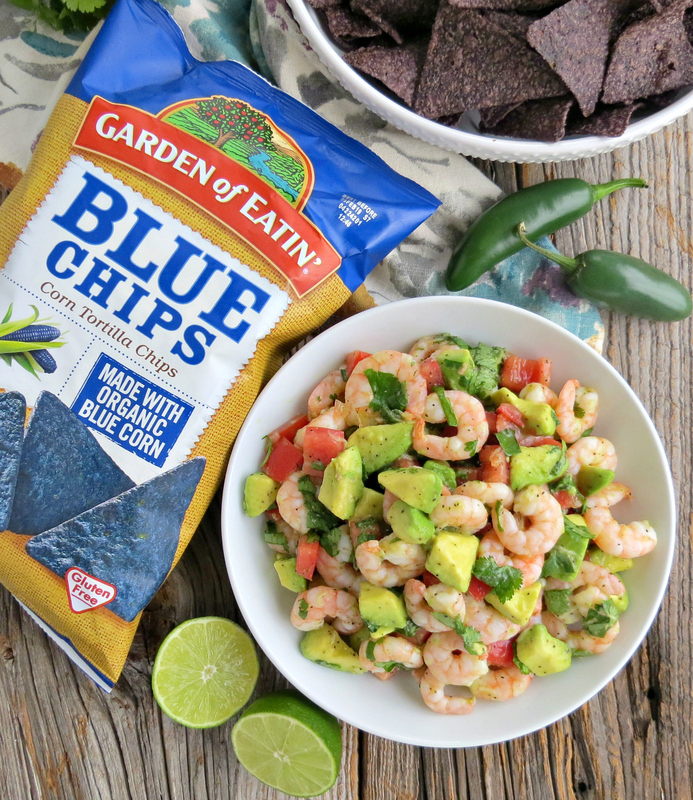 Thankfully, Garden of Eatin’® Blue Corn Tortilla Chips are totally guilt-free! 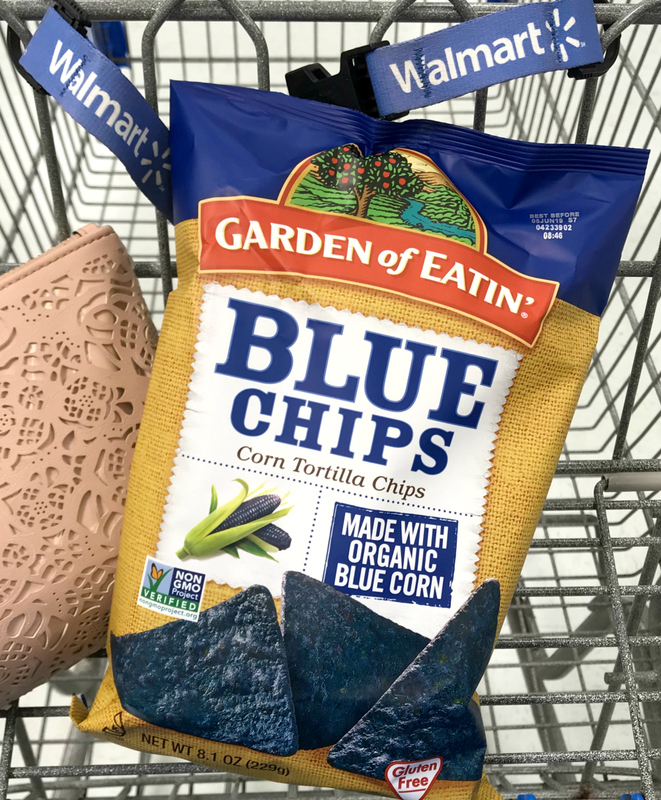 Made with organic blue corn and organic whole corn kernels, and no GMOs, artificial flavors, colors, or preservatives, you can feel good about eating them. Even better, you can find them at most Walmart stores throughout the US. At my store, they are in the regular chip aisle. They have several different varieties like blue corn, sweet potato, and whole grain. I love that Walmart carries so many nutritious options! The beauty of this salad is that you can have the entire thing whipped up in about 15 minutes, and it’s easy to swap some ingredients to suit your tastes. You can add more spice, bell peppers, corn – whatever! Don’t like shrimp? Leave it out for a cool and refreshing avocado salad. To make it more of a dip, just chop everything into smaller pieces. This recipe is easily doubled or tripled to feed a larger crowd. If you plan on making this ahead of time, I would add everything but the avocado and keep it refrigerated. Add the avocado just before serving. In a large bowl, whisk together the lime juice, olive oil, salt, and pepper. Add the grated garlic and green onion and stir. 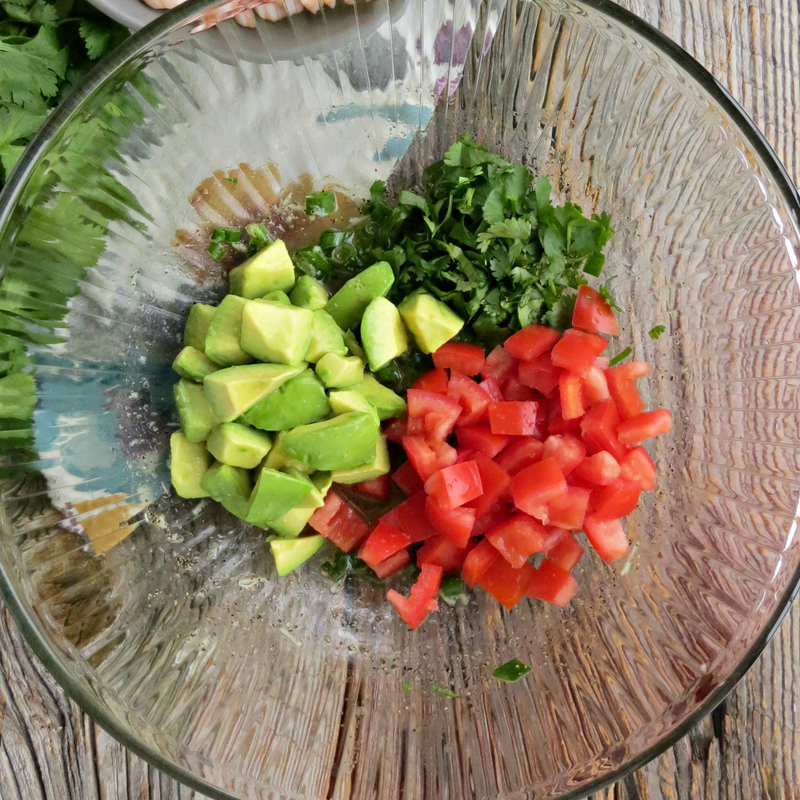 Add the tomato, cilantro, and avocado. Stir gently to not break up the avocado. Add the shrimp, and use a spatula to fold it in. Taste and adjust the seasonings. 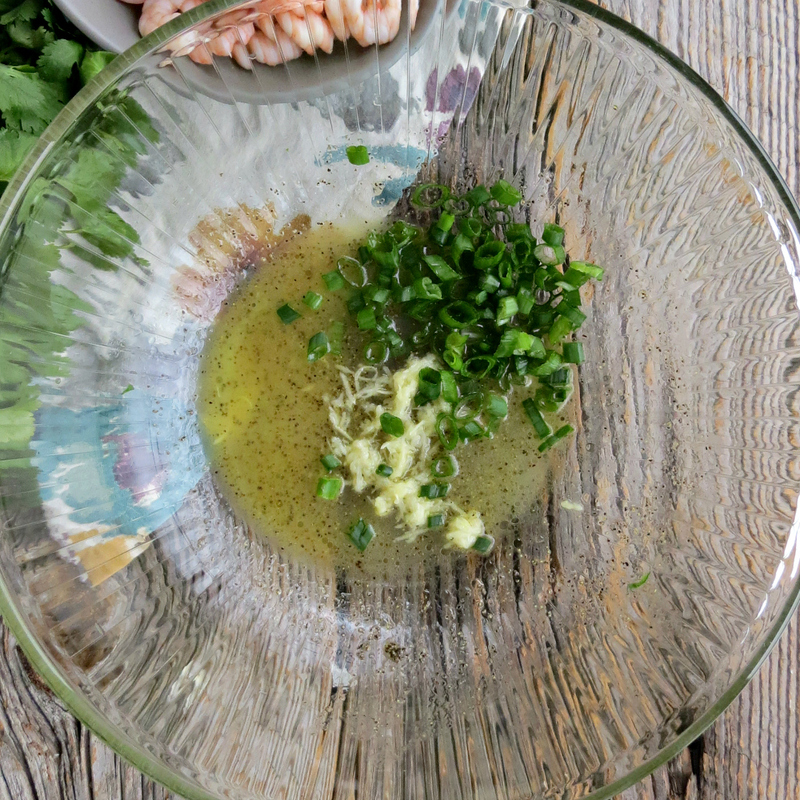 If you preferred to buy raw shrimp, here’s how to cook them. Immediately pour into an ice bath. Drain again and let dry on paper towels. What are your favorite healthier dishes for the big game? 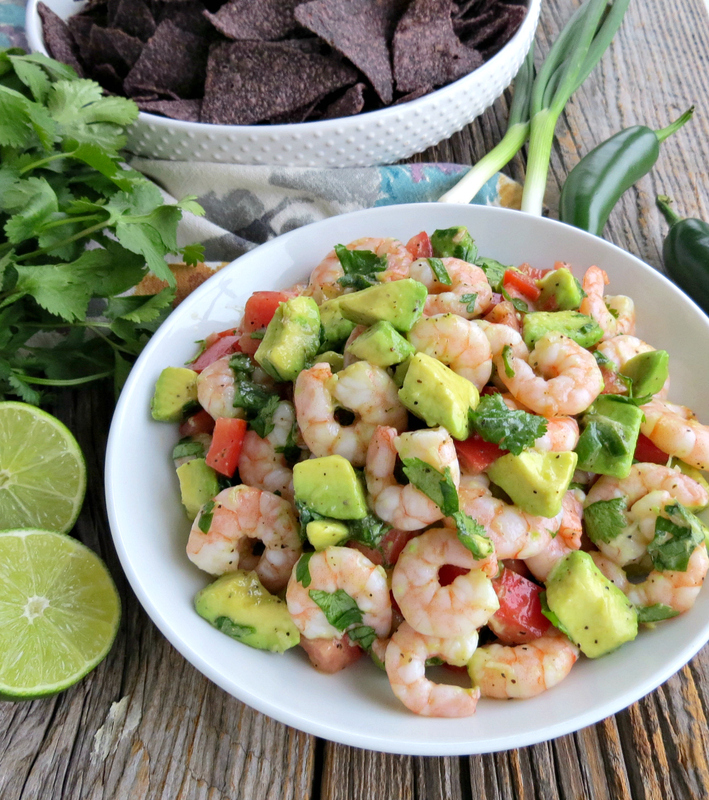 My shrimp and avocado salad is light, fresh, and full of flavor! You can have to on the table in about 15 minutes and requires no cooking, making it one of my favorite go-to recipes! In a large bowl, whisk together the lime juice, olive oil, salt, and pepper. Add the grated garlic and green onion and stir. Add the tomato, cilantro, and avocado. Stir gently to not break up the avocado. Add the shrimp, and use a spatula to fold it in.